He went on to say that due to this high-handed attitude and the failure to address the issues properly, the country lost the qualification to be a beneficiary of the GSP Plus facility granted by the US and the EU. The local industry, particularly the garment industry which provided employment to thousands, virtually collapsed. This affected mainly the small and medium level garment factories but those large companies that had contracts for branded products were able to survive. The employment opportunities and livelihood available to the people therefore suffered. He further said that the Prime Minister’s vision is that Sri Lanka should be a trading country and its relations with the outside world is one of ‘economic diplomacy,’ which is a new paradigm. 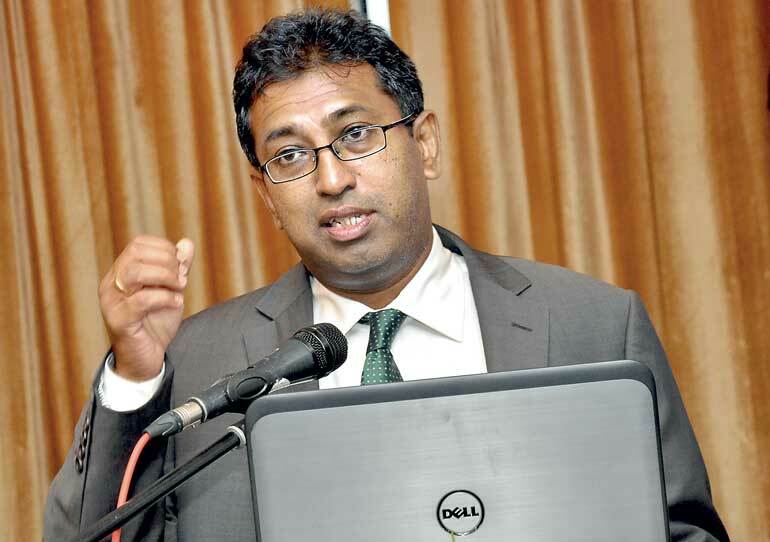 Sri Lanka cannot depend on the global trade envisaged by the World Trade Organization or outcomes of the Doha Round, which was not successful but engage with the appropriate regional economic groupings such as Trans Pacific Partnership (TPP accounts for nearly 40 % of world trade) and other mutually-beneficial bilateral agreements. Viet Nam, a country which had its exports around $ 2 billion in 1990 almost on par with Sri Lanka had grown to $ 120 billion in 2014 compared to Sri Lanka’s $ 11 billion. Viet Nam will soon join the TPP. The new trends in foreign relations coupled with internal developments in the fields of democracy, good governance and human rights had earned plaudits for Sri Lanka so much so that the country was invited to participate at the Open Government Partnership conference in Mexico where 66 countries participated. He had the privilege to participate along with Minister of Justice Wijeyadasa Rajapakshe at this conference. Samantha Power, US Cabinet Member of President Obama’s Government and US Representative at the UN, in her address spoke eloquently about Sri Lanka’s new developments in such glowing terms that our country earned accolades from many representatives present. So considering all these aspects, the new policy initiative is ‘economic diplomacy’ in foreign relations. Sri Lanka’s relations with other countries will be focused on economic relations along with other considerations like cultural ties being given due cognisance. The US will soon engage with Sri Lanka on further economic participation. In answer to a question from the audience, Dr. Harsha explained that Sri Lanka maintains her good relations with China as before and would like to see more investments rather than loans from that country. The Prime Minister has himself commented that China is as important to us as any other country in our relations. On another question, Dr. Harsha explained that GSP Plus facility was not renewed because of anybody’s fault but due to our failure to enact certain legislative requirements that were agreed. However, these aspects are pursued with vigour and an enormous amount of documentation is needed to be completed. Germany is very keenly supporting our request to restore the GSP Plus facility which is expected to be finalised next year. USAID is also reconsidering the extension of its facilities here. In conclusion, he reminded the participants of the famous quote from President Clinton’s campaign: “It’s the economy, stupid!” which drew laughter from the audience. He further stated that since Dr. Harsha De Silva was a friend of all three organisations and since he himself declined the formal introduction, he was inviting Dr. De Silva to address the gathering. Dr. Mohan Abeyratne proposed the vote of thanks.